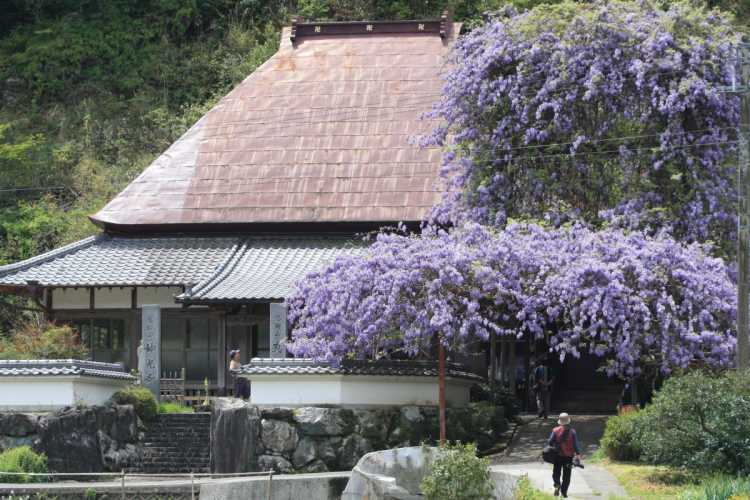 Here're most Instagenic spots in Tokushima Prefecture, Japan. 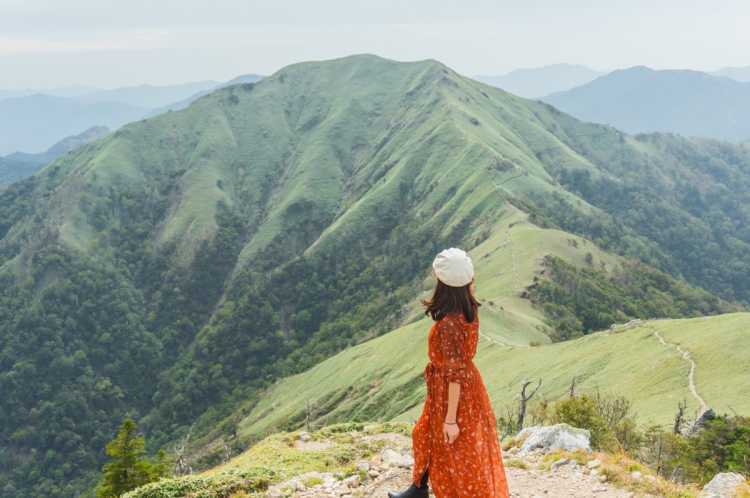 There're many instagram worthy destinations you can get 'like' in your SNS, such as scenic Tsurugi-san Mountain, and wonderful flowering places. Then, we selected best instagenic spots from 'special places to travel in Tokushima' that were posted in City's Pride by Japanese travelers and the locals in the know. A Hill Of Windmill commands a whole view of Tokushima city. 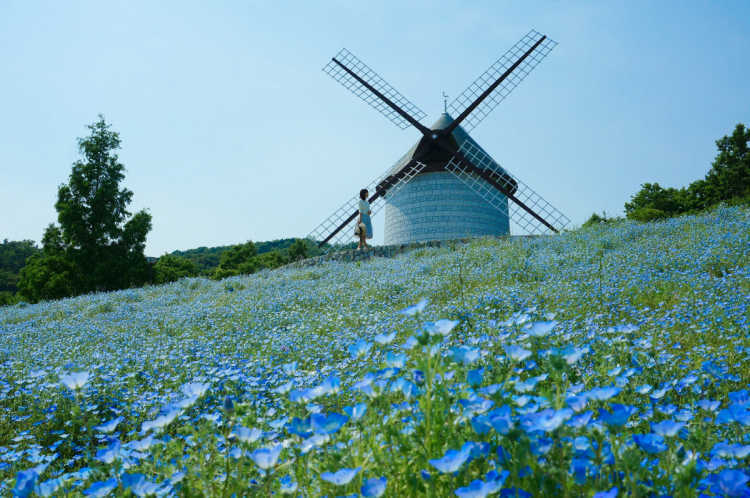 The collaboration of a windmill modeled on that of France and pale blue nemophila is very beautiful and photogenic. Ghibli BGM played in the park liven up the mood of fairy tales♪◎Access: 5min by car from Itano IC You can enter A Hill Of Windmill for free. Okuiya Double Kazura Bridges have Obashi (Male Bridge) and Mebashi (Female Bridge). Male Bridge is longer and higher than Female Bridge. When you look down, you can see the mountain river through the floorboard, it's so thrilling. Can you go through this fear! ?◎It's a different place from Iya's Kazura Bridge. You can cross many times by one entrance fee. 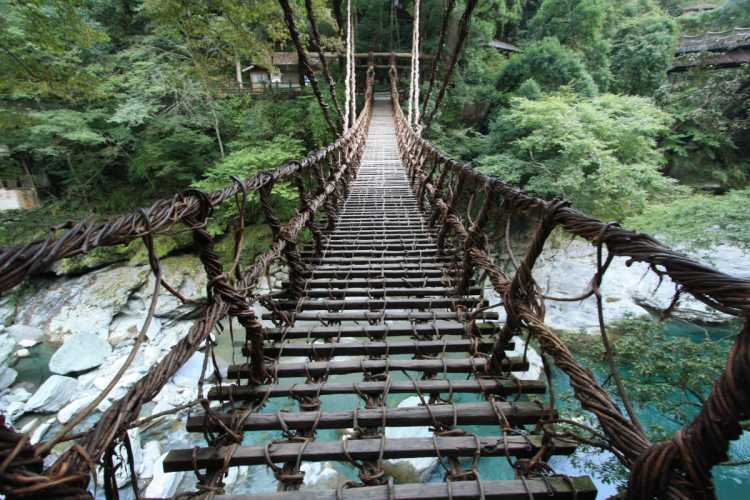 Let's try to cross Female Bridge before you challenge Male Bridge. 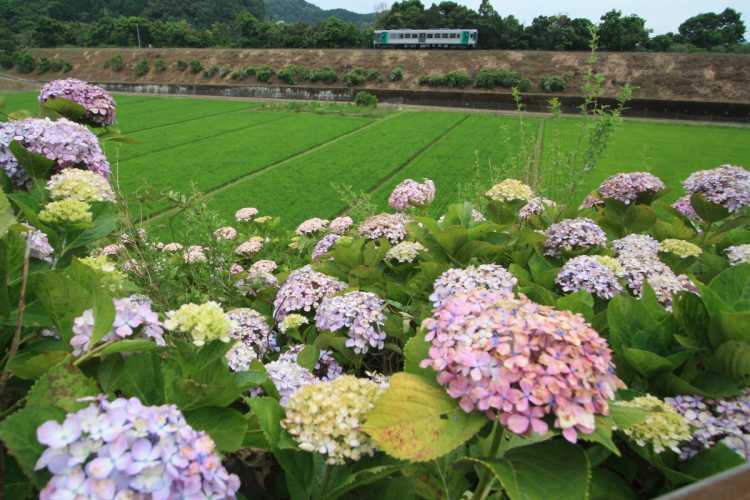 There're 4000 trees of hydrangea on the both sides of the road, and you can enjoy them while driving. What's more, a retro tunnel on the middle of the road offers an exciting exploration.◎Best season to see is from middle to the end of June. 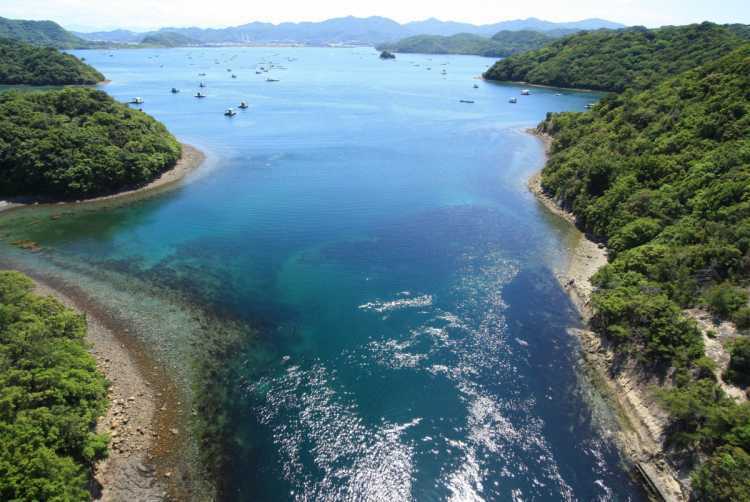 Naruto Sky Line can commend the view of Uchino Sea as well as Naruto Strait famous for the swirling currents. On sunny day, we can enjoy refreshing drive, and people who like cars and stunning views must like it.◎You can drive for free. 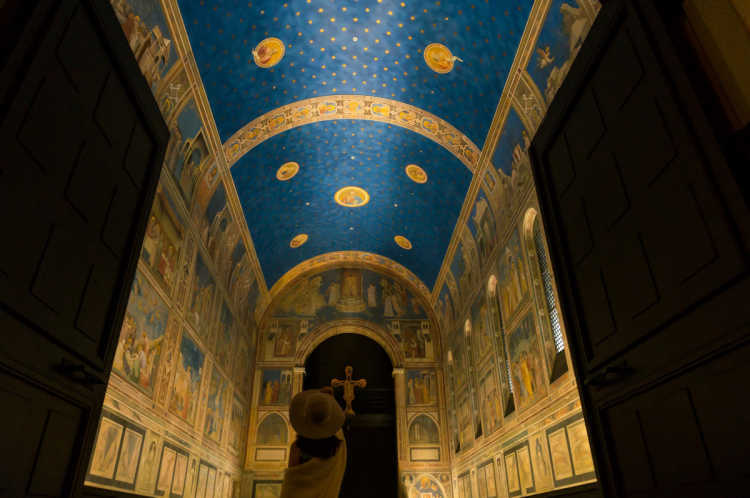 It's a reproduction of Scrovegni Chapel whose genuine is in Padova, Italy. The paintings on the whole surface of the wall and the solemn atmosphere are not just a replica. Wedding ceremony can be arranged here.◎It's next to Cappella Sistina, and one of the dynamic exhibitions. Oboke George is famous for the great beauty of nature. And about 160 carp streamers (Koi-nobori) swim gently above the Yoshino River in every spring. You can see them from the pleasure boat.◎Carp streamers decoration: from the end of March to the end of May. 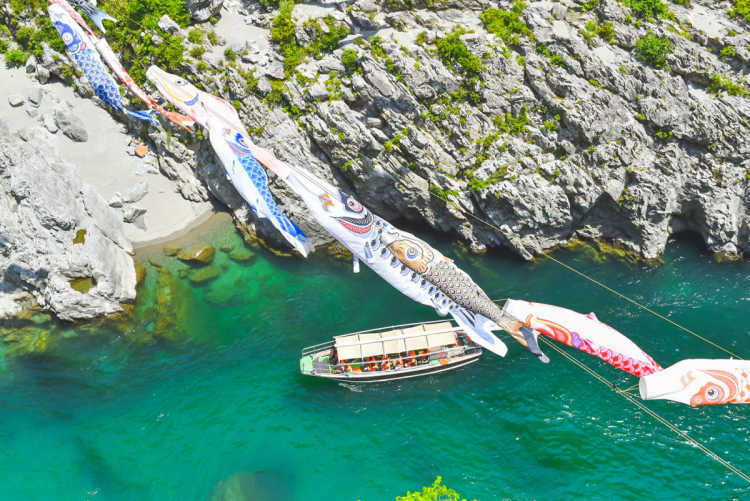 You can see carp streamers and ride the pleasure boat at 'Oboke-kyo Man'naka'. Terraced rice fields spread at this Eta area of Kamiyama-cho, Tokushima. 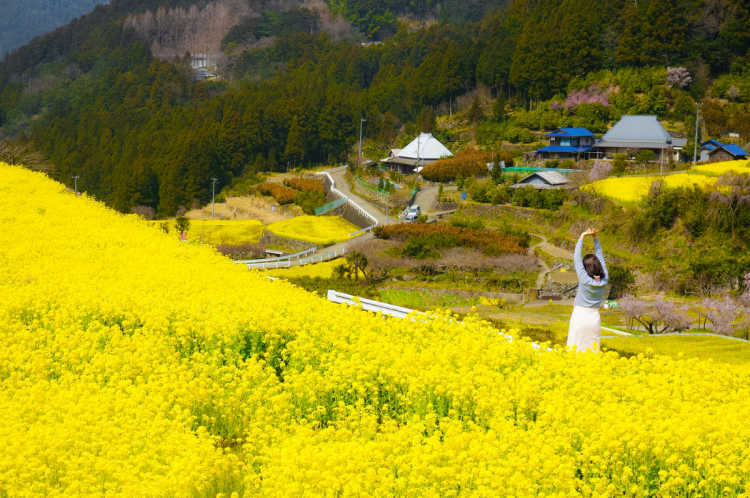 With the spring arrival, the canola flowers dye the terraced fields, and I want you to see it once! Walk up a little, and look over the whole of the scenery♪◎Best season in the end of March. You can go there by car. There're parking lots near the gate, and it's good to walk from there. 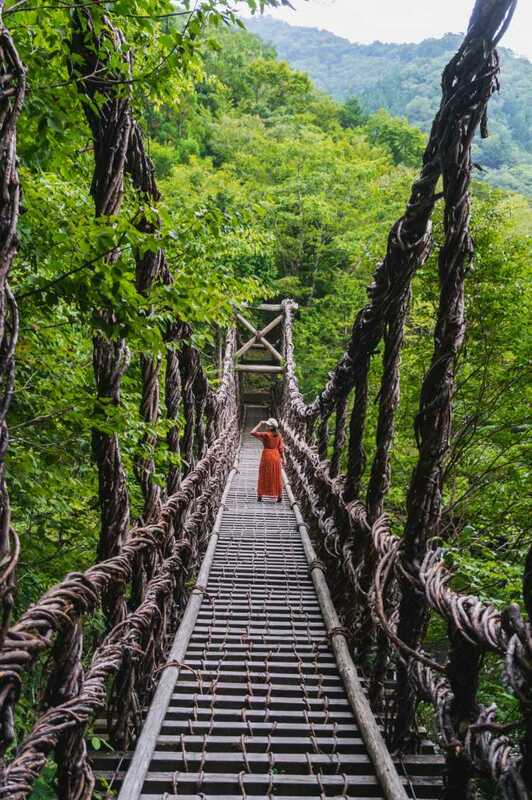 Other photogenic spots that will be nice for your Instagram in Shikoku Region the same as Tokushima Prefecture, are in the following.